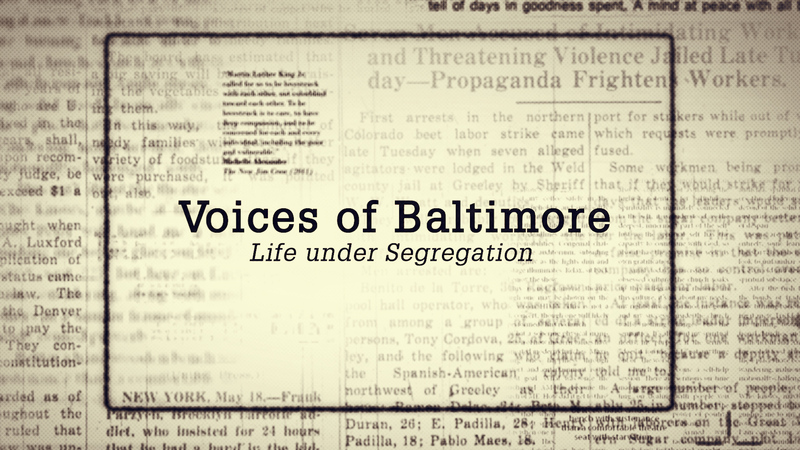 The purpose of this project is to capture and preserve the rich oral histories of an aging and diminishing population of African Americans who 1) grew up in the Mason/Dixon border area of Baltimore, and 2) who lived through the era of legal segregation (i.e., Jim Crow south). The narratives will document the relevant lives of individuals who attended segregated schools and/or desegregation before and following the 1954 Supreme Court Brown v Board of Education ruling. The full length film is available on Vimeo upon request. 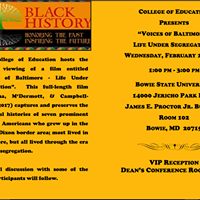 Contact ghomana@towson.edu or mmcdermott@towson.edu to make a request to show the film in your classroom or community. Where Will VoB Film be Next? A timeline created by Wide Angle Youth Media available here.